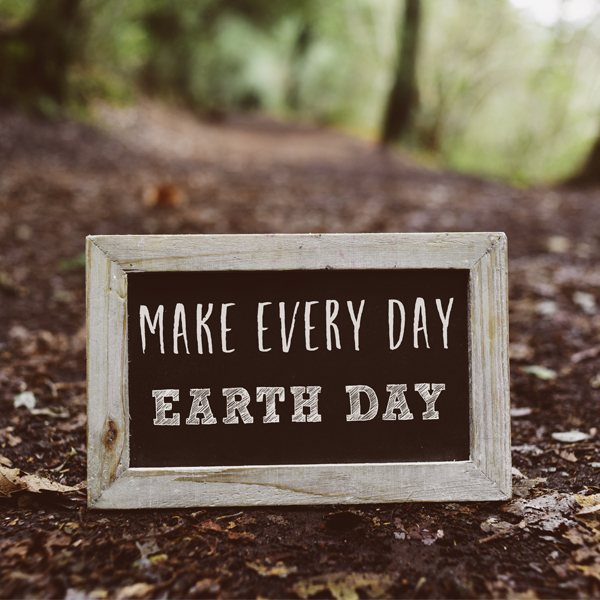 Earth Day is celebrated every April 22nd to focus on our environment and discuss ways we can improve it. This year, the focus on Earth Day is to end plastic pollution. Here at Rainbow Light, keeping plastic bottles from ending up in our oceans, natural habitats and landfills is core to our mission of maintaining a healthy environment and reducing carbon emissions. For over 30 years, we’ve been actively working to reduce our carbon footprint. And, at the heart of our environmentally-focused initiatives is our trademark, EcoGuard® bottles. Each and every one of our EcoGuard® bottles is made with 100% post-consumer-recycled material. They’re also BPA-free because we want our customers to take our vitamins and nutritional supplements without worry of harmful chemicals. By reusing post-consumer plastic in the EcoGuard® bottles and encouraging our customers to recycle and reuse our bottles, we have been able to reduce our carbon footprint by 92% and keep an estimated ten million plastic bottles from entering the waste stream each year. Reduce red meat consumption. Red meat production uses more water and produces more emissions than poultry production. Buy local produce. When you buy your fruits and vegetables from local farmers, you’re not only supporting local businesses, less fuel is used transporting the produce from farm to table. Take fewer baths. While a long soak in the tub may be relaxing, a shower will use 20% less energy than that bath. Plant a tree and/or garden. Trees and plants increase oxygen levels and decrease carbon dioxide levels in the air. Also, depending on where you plant it, a tree can reduce heating and air conditioning costs in your home. Switch out your light bulbs. Replace incandescent light bulbs with LED ones. LED bulbs use 80% less energy than traditional bulbs. And, of course, turn out any lights in rooms you’re not using. Bring your own bags when shopping. Reduce waste by bringing reusable bags when grocery shopping. Adjust your thermostat. When you’re at home, lower the thermostat 2-3⁰ degrees during winter and raise it a few degrees in summer. And when you’re away in the warmer months, turn the thermostat up to 80⁰F to really make a difference in your energy consumption. Unplug your phone charger when not in use. When your charger is plugged into the wall, it’s still using electricity, even if your phone is not plugged in the other end. Keep your car tires properly inflated. Driving with under-inflated tires uses more fuel. Maintain optimal tire pressure so that your car uses fuel more efficiently. Reuse supplement and pharmaceutical bottles. The size and shape of many of these bottles make them perfect for storing small items. Turn a bottle into a coin jar and keep it in the car for tolls and parking meters. Use a small bottle to store hair accessories like bobby pins. Gather some crayons and put them in a bottle the next time you’re taking a trip with your kids. They’re perfect for storing crayons on a plane and car rides. Store seeds in smaller bottles before planting. Just be sure to label your bottles so you know what’s inside. A popular Chinese proverb states “The best time to plant a tree was 20 years ago. The second best time is now.” It’s not too late to make a difference. Reduce. Reuse. Recycle. Even the smallest changes can make a lasting impact on our environment. Wishing you a happy and healthy Earth Day.